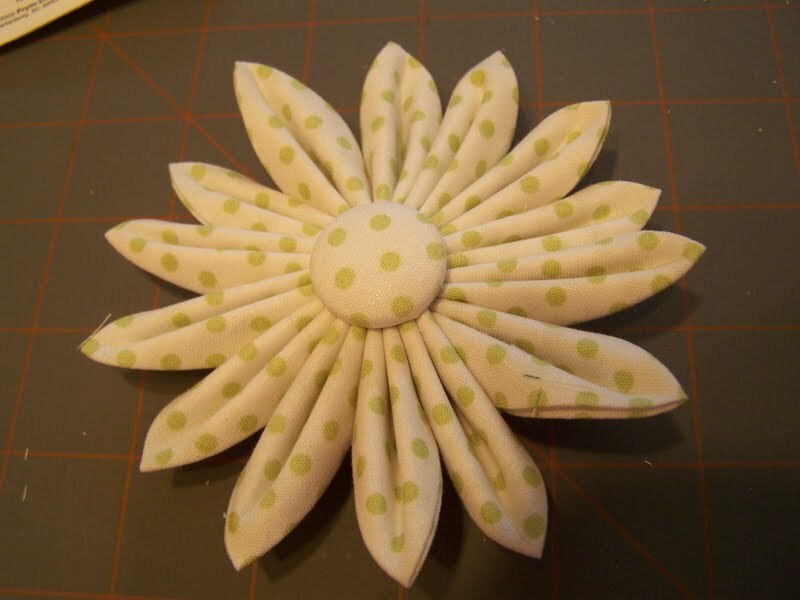 A couple of weeks ago, a friend posted some fabric flowers she made. I thought they were great! I wanted to try them and she posted the link to the instructions. So today, my friend Katherine and I gave it a try. 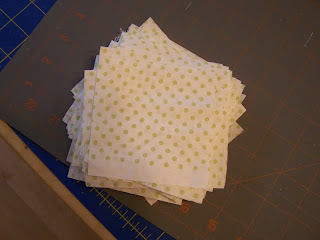 First I had to cut the fabric in a bunch of little squares. 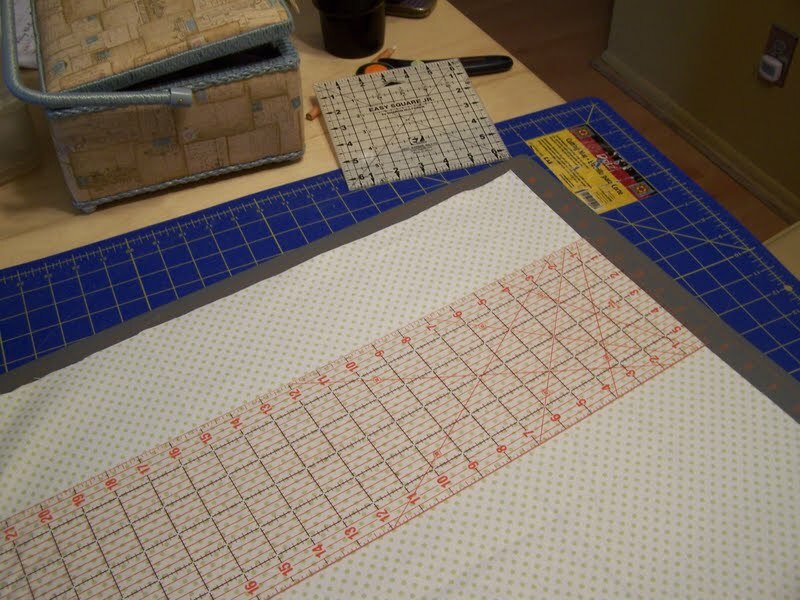 I started with 3 and 1/2 inch squares, but she says you can do any size and any number of petals. I later tried some that were 2 and 1/2 inch squares. Then you fold them, iron them and if you want, starch them. 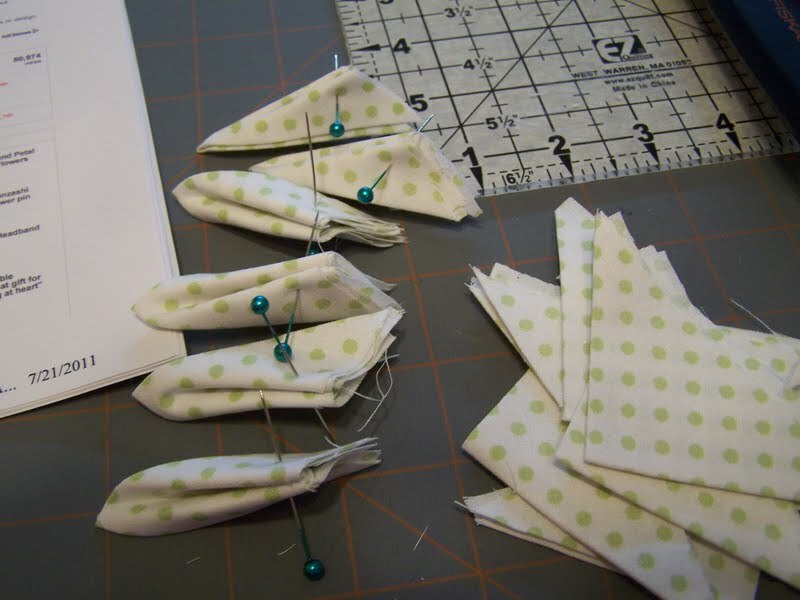 You pin them to keep the shape and then hand sew them all together. You cut a round piece of fabric to cover the back. You use No Fray on it. You glue it on. Then we made fabric covered buttons and glued them on the front. Isn't it cute? 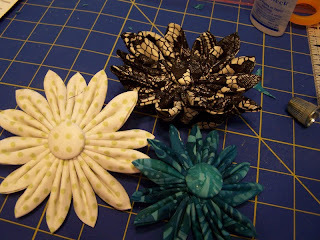 You can use them on barretes, hair bands, purses, shoes, packages, as pins, whatever. I love them. You can use different kinds of buttons or rhinestones in the middle or embellish them with beads. Here are the three I made today. The black and cream one was from a silky fabric. IT was a little harder to work with. Those are really really cute!